Hostilities are still underway in the combat zone in the East of Ukraine. One Ukrainian serviceman died on October 31. Observers of the OSCE Special Monitoring Mission (SMM) in Ukraine have recorded a decrease in the number of explosions in Donbas conflict zone from 19:30 October 30 to 19:30 on October 31. The U.S. Envoy in the OSCE Harry Kamian called Russian humanitarian ‘convoys’ to Donbas a proof of Russia’s involvement in Donbas conflict. Security Service of Ukraine has identified 40 Ukrainians who served as part of the Russian private military company Wagner Group in Donbas. Most of them are in territory that Ukraine does not control: they are part of illegal armed formations in Donbas, and also take part in hostilities in Syria. This was reported by the head of the apparatus of the SBU head. Amina Okueva, a Chechen volunteer in Donbas conflict, was murdered not far from Kyiv on October 30. A Chechen volunteer Donbas soldier and paramedic Amina Okueva died, her husband was wounded. A secret farewell ceremony was held in the mosque of the Islamic Cultural Center on Tuesday, October 31. It is noted that Okueva herself before the first attempt in June this year wrote a will and indicated that she wanted to be buried. Head of the Chechen Republic Ramzan Kadyrov accused the Ukrainian special services of the murder of Chechen volunteer Amina Okueva as he reported at Telegram. All the details of the murder are here. Prosecutor General of Ukraine Yuriy Lutsenko says Vladyslav Kaskiv didn’t come to Ukraine of his own accord, but solely agreed to a simplified procedure of extradition. The prosecution also finds court’s decision to set a bail for Kaskiv at $6.000 inappropriate. Oleksandr Avakov, son of the Minister of Internal Affairs Arsen Avakov, was detained on Tuesday after the National Anti-Corruption Bureau held the searches at his place. 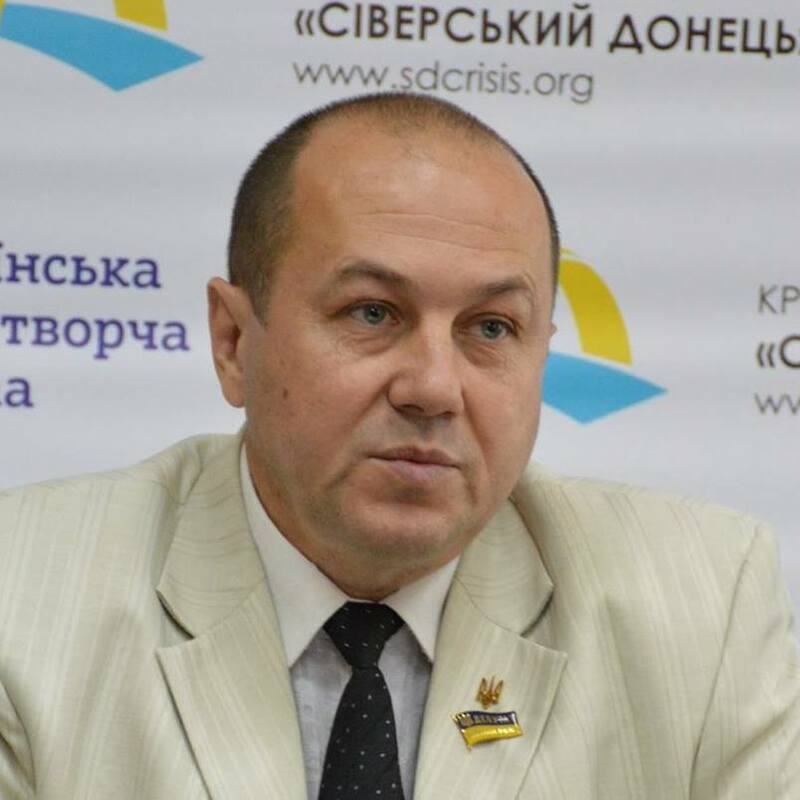 Also, former Deputy Minister of Internal Affairs Serhiy Chebotar was detained. The NABU holds the searches of the probably involved persons in the case of the supposed embezzlement of the state funds during the purchase of the backpacks for the National Guard by the Internal Ministry in 2014-2015. The Prosecutor’s General Office opened the criminal proceeding due to the purchase in July 2015. According to journalist Roman Bochkala, the ministry purchased the backpacks for the price 111 dollars per item and the total sum of the purchase is 539. 800 dollars. 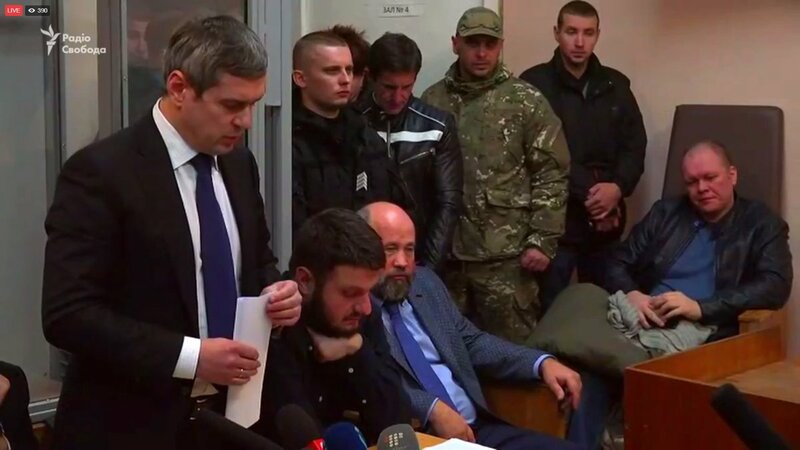 The court released Avakov Jr under the personal recognizance, obliging him to wear an ankle monitor, hand in his passport, and see the investigators at first demand. However, the police are short on ankle monitors, and as of November 2, all the ankle monitors were already taken. Thus, the National Police of Ukraine announced a tender for procuring 50 ankle monitors and additional equipment for $1.4 million. Serhiy Samarsky, the councilman of Severodonetsk (government-held part of eastern Ukraine), was killed on late November 2. The councilman’s body was found in one of the town’s residential districts at about 1 a.m. Friday; the suffered the blunt-force trauma, which proved fatal. Serhiy Samarsky was on his way home; later, he was going to speak on the air of local TV channel. Serhiy Samarsky was 55. He served as an MP from pro-presidential Petro Poroshenko’s Bloc and the member of Severodonetsk town council. A week was quite successful for Ukrainian football teams. On Wednesday Shakhtar Donetsk overplayed Feyenoord 3-1 in the home game at Metallist arena in Kharkiv, making it to playoffs of the UEFA Champions League. The next day, Dynamo Kyiv defeated BSC Young Boys in away game o-1. Dynamo finally got their revenge on Young Boys, after their loss to the Swiss team in UEFA Champions League in August. However, the same day, Zorya Luhansk lost 2-0 in away game - Hertha BSC triumph in Berlin; Ukrainians, however, remain on the second place in the group.